My Food Stories – Page 2 – This blog is about daily life, food and stories that connect us. This potato bake recipe is now my family’s favorite. It’s great for brunch on Sundays. Set oven to 400F degrees. Place the potato fries on a baking dish. Set aside. Let it bake for 40 minutes. Check the cheese and if it has completely melted you may add some more or parmesan cheese. This recipe is so easy and so delicious that after making it twice, my kids already learned the recipe! I hope you try it out. It’s also very non-expensive as you probably already have all the ingredients you need in your pantry. It’s our family favorite! Yum! 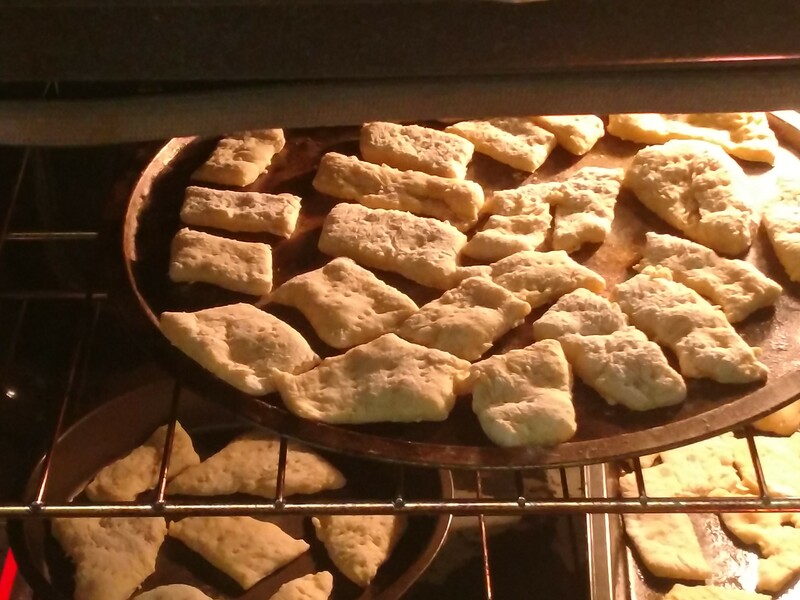 This recipe yields 30 crackers with each being 4×2 inches ( rectangular shaped) approximately. 2 cups of flour; 1 Tsp salt; 1 Tablespoon of sugar; 1 Tsp baking powder ; 4 Tablespoons of meltes butter; 1.5 cups warm water. 1. 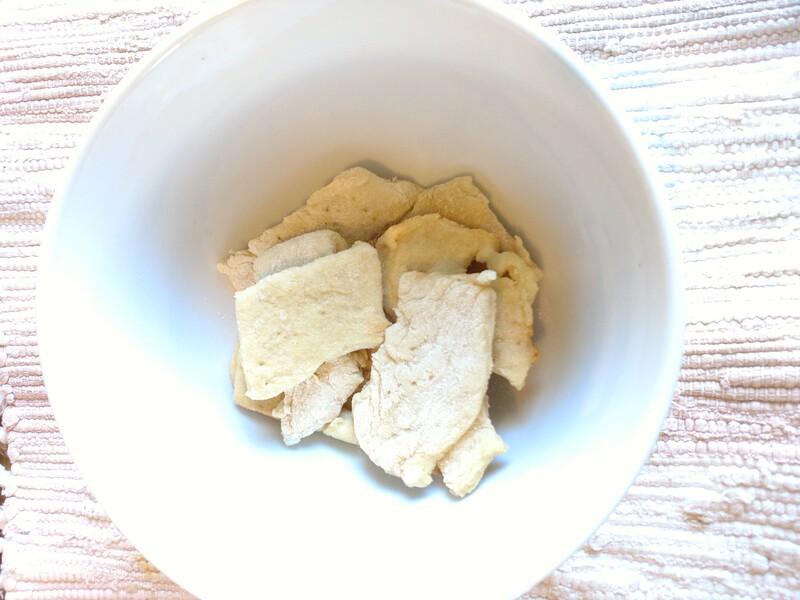 Mix all dry ingredients in a bowl. 2. Add water to dry mix. Start mixing in the bowl and add more water little by little until you get the correct consistency before kneading. 3. Add flour to a clean counter surface. Add flour to your hands. 4. Place the dough from the bowl into a clean counter. Knead by hand adding additional flour as needed. When the dough is no longer sticky, take a rolling pin and stretch out the dough. It should be about 1/4 or 1/8 inch thick when ready. Both thicknesses work fine. It depends on your preference. 6. Prepare baking pans by covering with a small amount of butter. Place the crackers into the baking pans. 7. Bake in a 400 degree oven for 10 minutes or until golden on top. Below is a short video showing you thickness of the dough and how to cut it. Latin American cuisine knows yuca very well! I was thrilled to see that my local supermarket here in Colorado is selling it raw. Yuca is a tuber very much like the potato. However yuca is king for me and most of Latin American cuisine. It has a wonderful texture, it’s great for “sancocho” ( Colombian soup filled with multiple meats and cooked slowly for many hours.) To help illustrate, maybe our dear Louisiana gumbo may be a distant cousin of Sancocho. 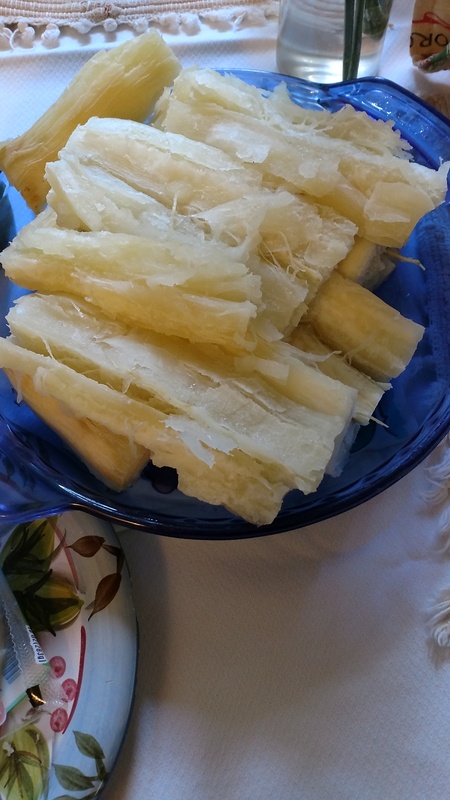 To enjoy yuca you don’t need to cook a stew like sancocho, since yuca goes well with grilled beef or chicken and it’s perfect with scrambled eggs or omelets. Also, if you can get to some Latin American cheese (Mexican, Peruvian or Colombian) then yuca and cheese is the best snack! 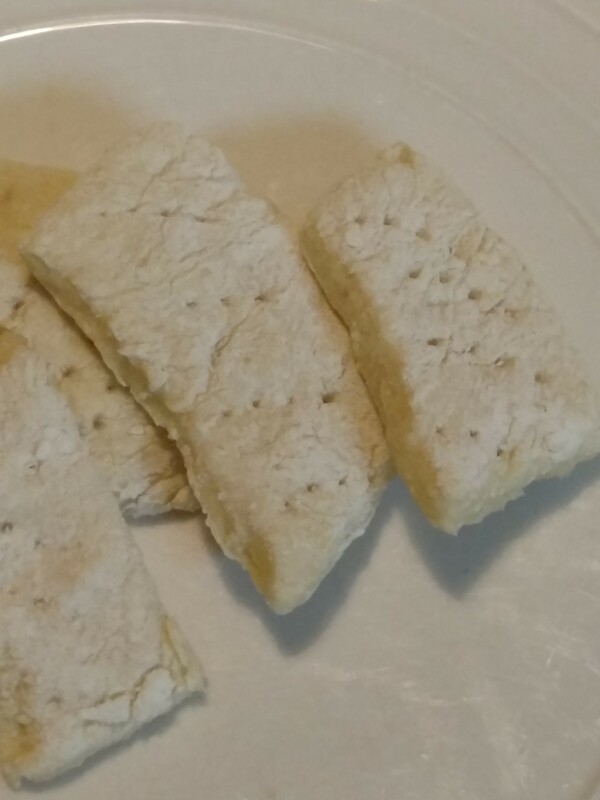 The recipe for boiled yuca is very simple. Peel the yuca and wash well. Set enough water to boil but make sure you add 1 tablespoon of salt and 1 white onion in big chunks. It will boil for at least 30 minutes but you will know it is done when you take a knife and it goes through easily. Texture should be soft. Some like to fry yuca after it’s been boiled and serve as a side to a meat ( beef or chicken) , instead of potato fries. I hope you may find it and try it sometime. It’s my favorite! Here is my first Nutella dessert ever! My kids love nutella, and I knew anything with nutella would be a hit at home. The recipe is very simple and easy. 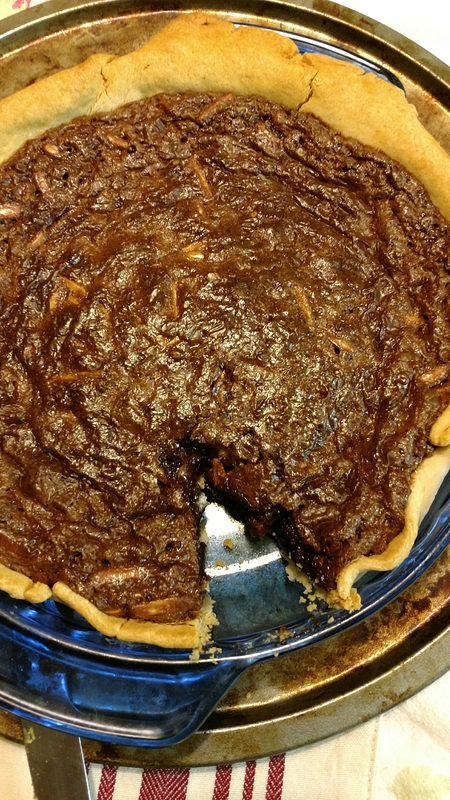 I made it easier by using store bought pie dough. It saved me over 40 minutes of prep time. Get a medium size bowl to mix ingredients. You don’t need a mixer, mixing by hand with a wooden spoon works great! Let the Melted butter cool down so when adding to the mix the eggs don’t become scrambled. 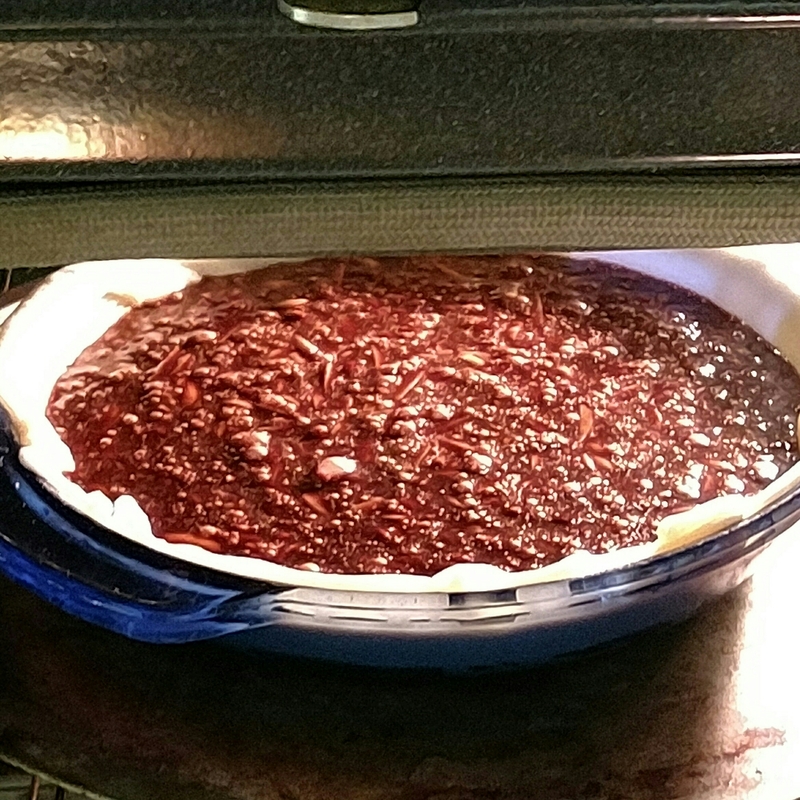 Place the pie dough on a medium size pan for the oven. Set it aside. Start by adding the sugar and the flower.Mix well. Crack and whisk the three eggs in a separate bowl. Once they’re well whisked, add them to the sugar and flour mix. Mix well again.Next, add the vanilla, the melted butter and nutella. Mix well. Last, add the nuts. Pour this mix into the pre prepared pan with pie dough. Bake for 1 hour at 325 degrees Fahrenheit. Once it’s done you must let it set for 30 minutes before cutting. Posted byMyFoodStories July 2, 2016 Posted inFoodLeave a comment on Coffee! My Food Stories, Create a free website or blog at WordPress.com.